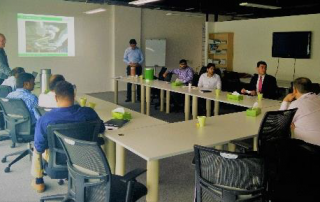 Luay Ayyash, General Manager of Khansaheb Industries LLC, recently had a Leaders Talk with GineersNow and spoke about the introduction of Spiralite Energy Saving AC Ductwork into the UAE and discussed the exciting plans for future market and product development in the region. 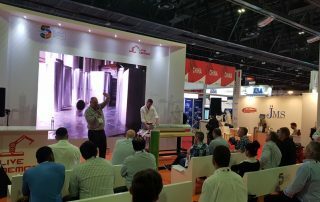 Paul Groves, Khansaheb Business Development Manager, and Kestutis Liugas performed a live fabrication and connection demonstration at the BIG 5 in November 2017. Kestus did the fabrication of a section and then a connection, after which Paul asked two burly members of the audience to try to pull the sections apart, even though the silicon had not yet cured (dried). Paul Groves, Business Development Manager, was recently interviewed by Climate Control Middle East magazine. 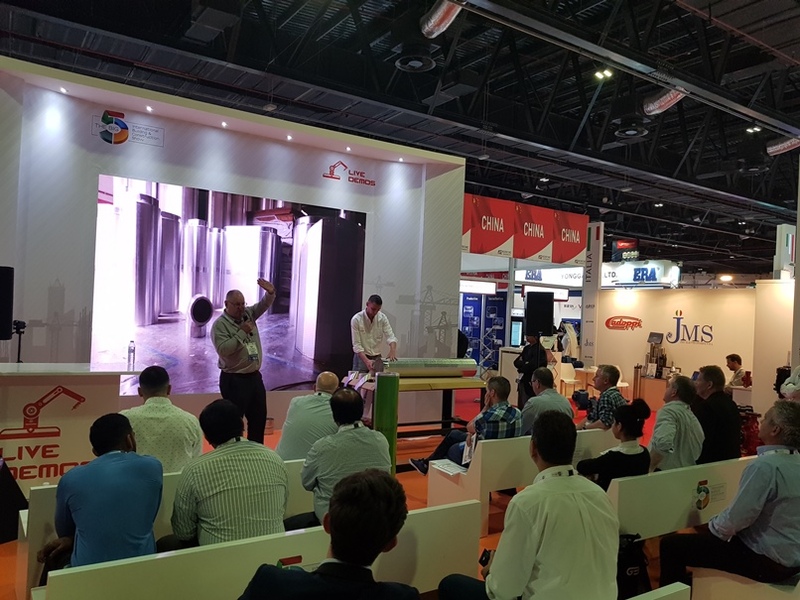 The questions were about the potential energy savings from HVAC ductwork, and Spiralite in particular, and their impact on the environment in the UAE. 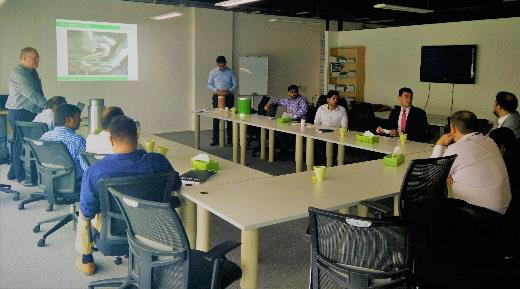 Paul Groves, Business Development Manager, recently participated in a round table discussion held by MEP Middle East magazine. The topic was: “Proper Ducting and Insulation Can Save Energy”.